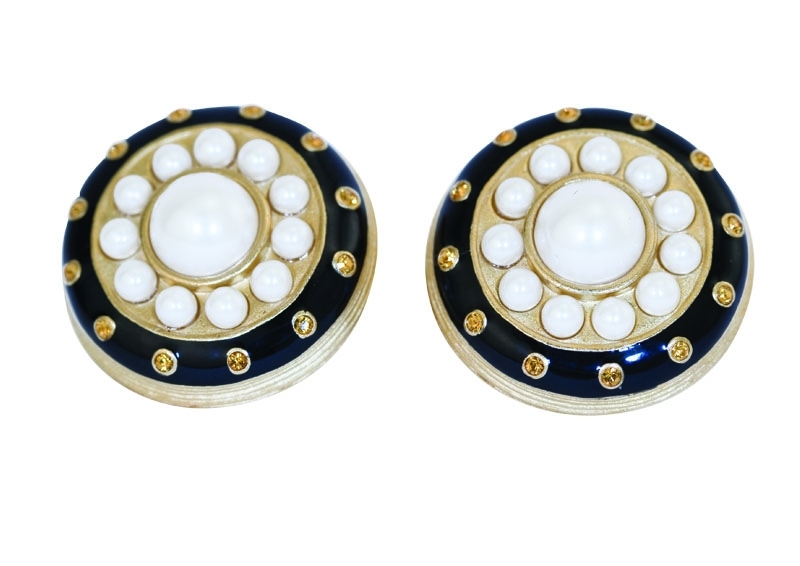 V&A Jewellery - Ambras Clip On Earrings: This range was suggested by an Eastern European chain design of enamelled gold set with pearls, from the imperial castle of Ambras, circa 1615. The rings are 24ct matt gold enamelled. This piece is inspired from an object in The Victoria and Albert Museum, London. V&A Jewellery - Ambras Pendant: This range was suggested by an Eastern European chain design of enamelled gold set with pearls, from the imperial castle of Ambras, circa 1615. V&A Jewellery - French Crystal Classic Ring: Inspired from a ring made in France between 1775 to 1825.